Bruce Wyatt Sien, lifelong resident of Mesa, AZ, passed away Sunday, November 30, 2014, at the age of 20. Wyatt was born Thursday, November 3, 1994 to Richard and Heather Sien. Wyatt leaves behind an older brother Cody, older sister Megan, and younger sister Bailey. Wyatt attended Falcon Hill Elementary School, Shepherd Junior High School and Red Mountain High School, where he played soccer, ran track and cross-country. Wyatt enjoyed boarding of all kinds, wake boarding, snowboarding and long boarding. He loved being in the outdoors camping. He especially enjoyed camping with family and friends at Apache Lake. Wyatt also enjoyed strategy board games and was well known for being an exceptional player. Additionally he was an outstanding video gamer and looked forward to spending time playing online with friends where he set the standard. Shortly after graduating high school in 2013, Wyatt was diagnosed with a very rare form of Stage 4 Terminal Cancer and spent the next 18 months battling cancer. 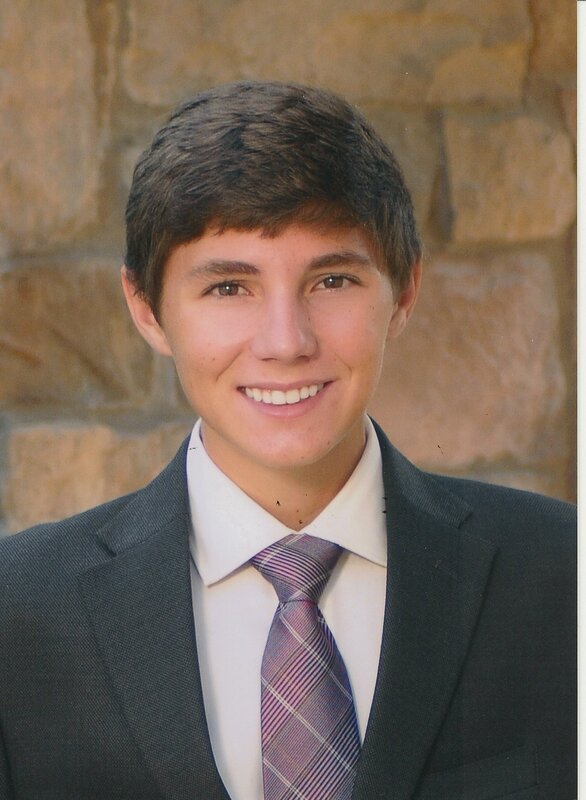 Funeral services for Wyatt will be Thursday, Dec. 4, 2014 at 11 AM at the The Church of Jesus Christ of Latter-day Saints, 5350 E. Mclellan Rd., Mesa, AZ 85205. Flowers can be sent to Bunker’s Garden Chapel, 33 N. Centennial Way, Mesa, AZ 85201 (480) 696-6883. It is with great sadness, that I have heard about the loss of your lovely son Wyatt. My heart is aching for you and your family. Please know that you are in my thoughts. I don’t know if you will remember me or not, but I lived in Mesa 61st Ward back in the mid-1980s. A few months ago, I was going through a box of papers from the past and found several letters you (Ric) wrote to me while you were on your mission. I read through some of them and remembered our friendship. I certainly don’t expect you to remember, it was so long ago. However, I saw your son’s picture and name while I was searching for funeral information for someone else I know. I’m pretty much a stranger to you but I cannot help but offer my condolences to you and your family. My oldest daughter is just two months younger than your son Wyatt. I cannot imagine what it would be like to lose her, especially after a long battle with cancer. I have no idea how you feel and I don’t believe there is anything I can write that would bring you any measure of relief. But I have to let you know how sorry I am for your loss and I will keep your family in my prayers. p.s.–he looks like you Ric, according to my memory—especially in the eyes. Of course, I knew you well at his age and then I never saw you again so my memory of you is as a 19 year old. Thank you for your kind words, and yes I do remember you. I’m deeply sorry for your loss. It’s my hope that you can draw comfort and strength from Jehovah God’s promises in the Bible. Revelation 21: 3, 4 and John 5: 28, 29 show that there will soon be a time when there will be no more pain, sickness, or death, and we will see the loved ones we have lost again. Please accept my deepest condolences.